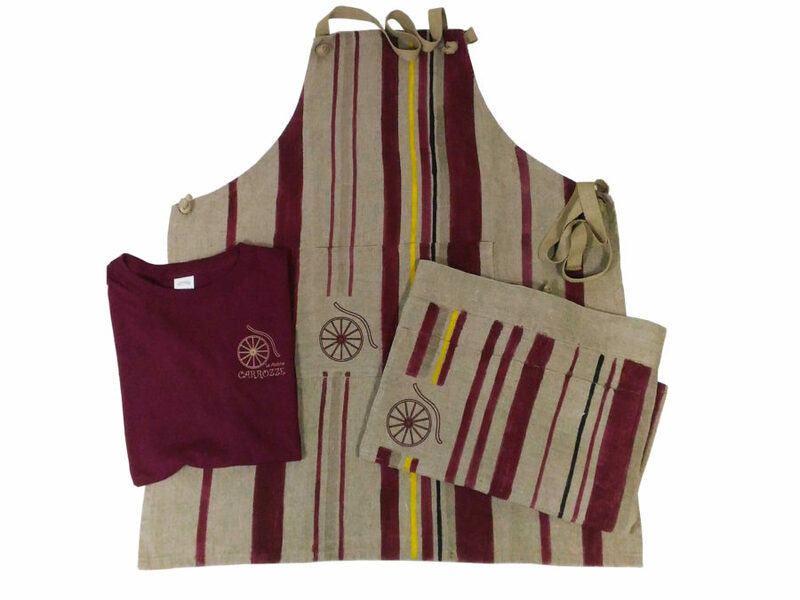 Apron for L’Angolo Tondo The Angolo Tondo trattoria in the splendid Piazza dell'Anfiteatro in Lucca offers high quality cuisine in a refined setting and with a kind and smiling welcome. 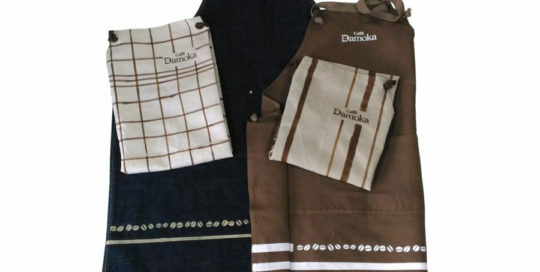 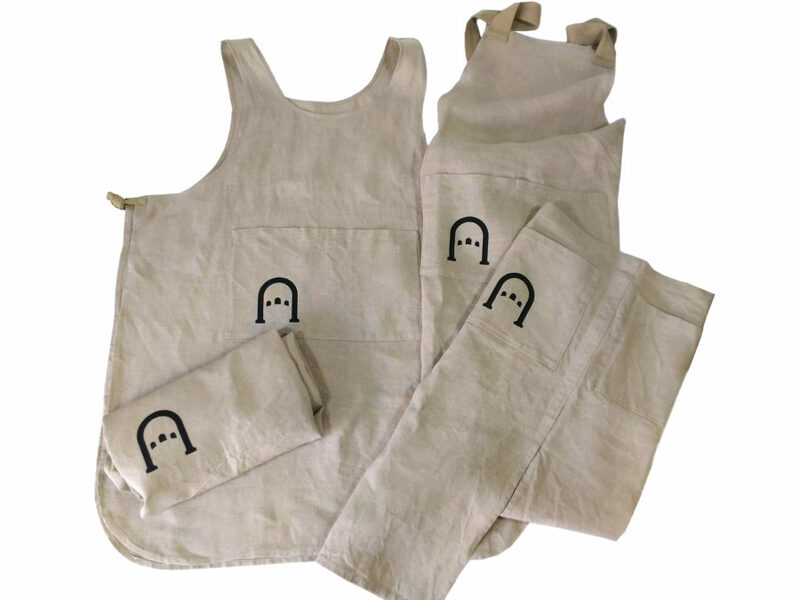 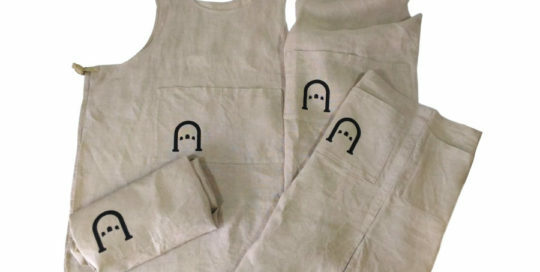 For them we have created aprons of various models in raw linen with logo. 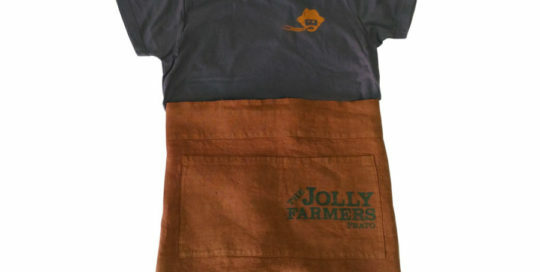 Apron for Jolly Farmers Jolly Farmers a Prato brewery in perfect English pub style, offers 12 types of beers and a large selection of whiskey accompanied by a delicious menu. 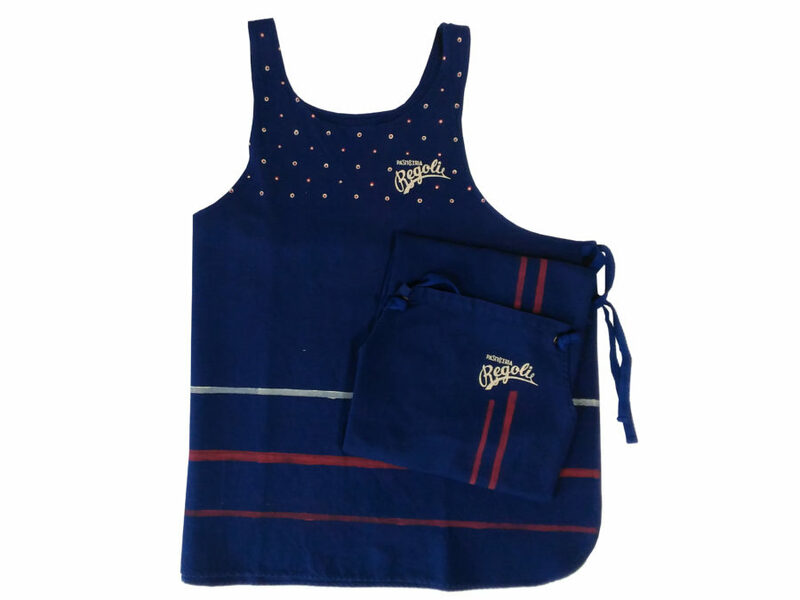 The right place to spend a nice evening with friends even with live music or sports. 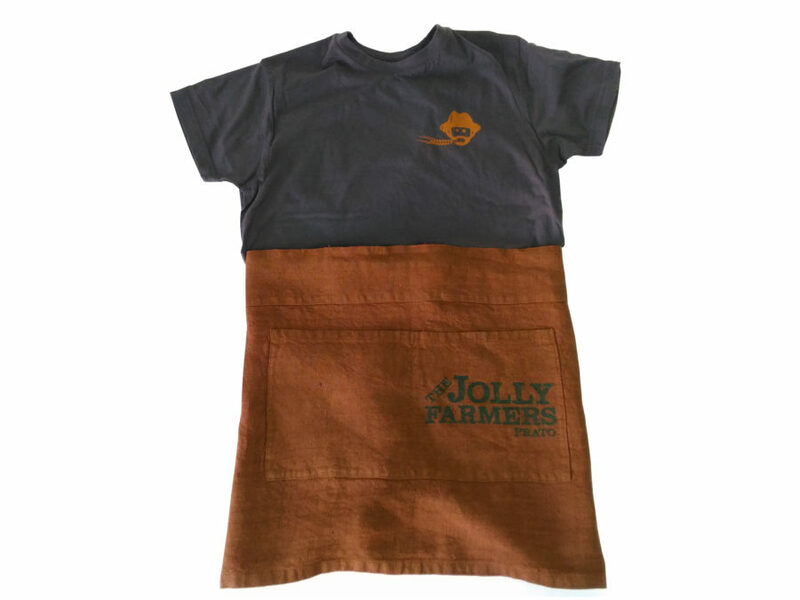 For them we have made rust-dyed linen aprons with logo. 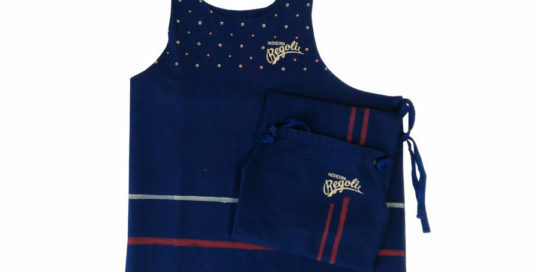 Apron for Caffè San Gottardo Caffè San Gottardo, an ice cream parlor and café in Borgomanero, a fine example of modern craftsmanship. 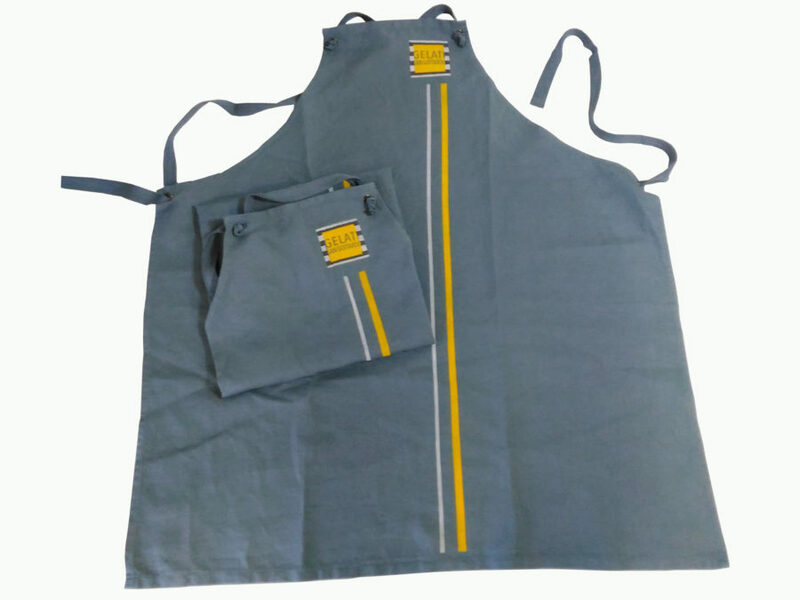 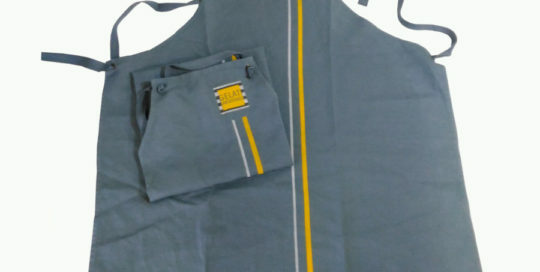 No semi-finished products in their ice-creams only natural fibers and proteins For them we created gray-stained linen aprons with painted stripes and logo. 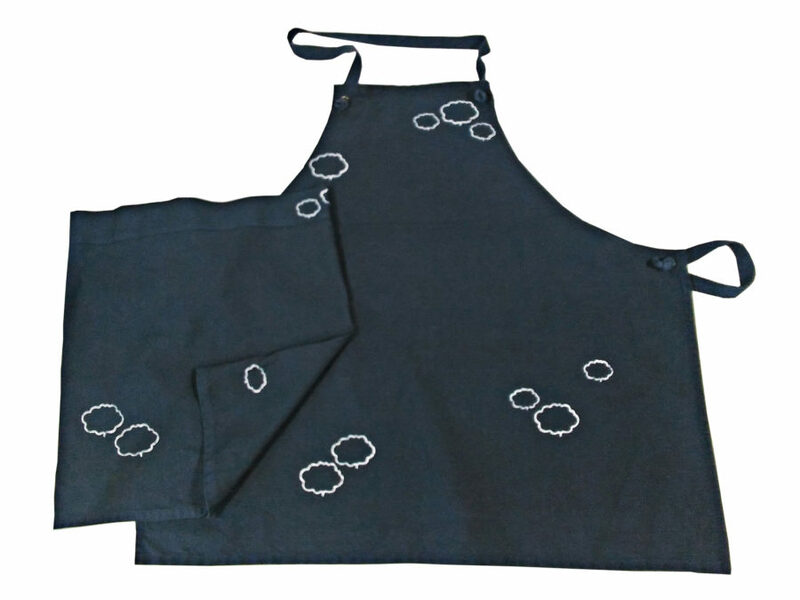 Apron for Gelateria Morandin The Morandin ice cream parlor in Lich in Germany offers excellent products in a modern, elegant and pleasant environment. 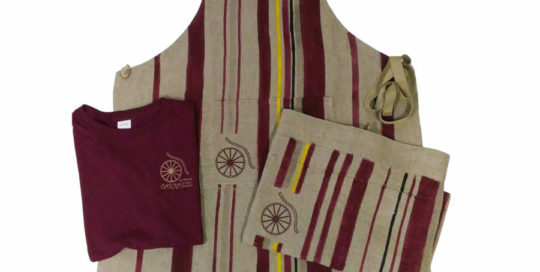 You can also find excellent coffee and homemade cakes. 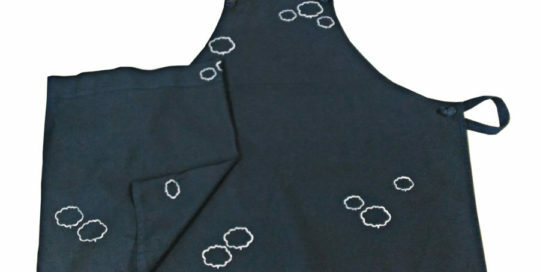 For them we created indigo-dyed linen aprons and hand-decorated with logo. 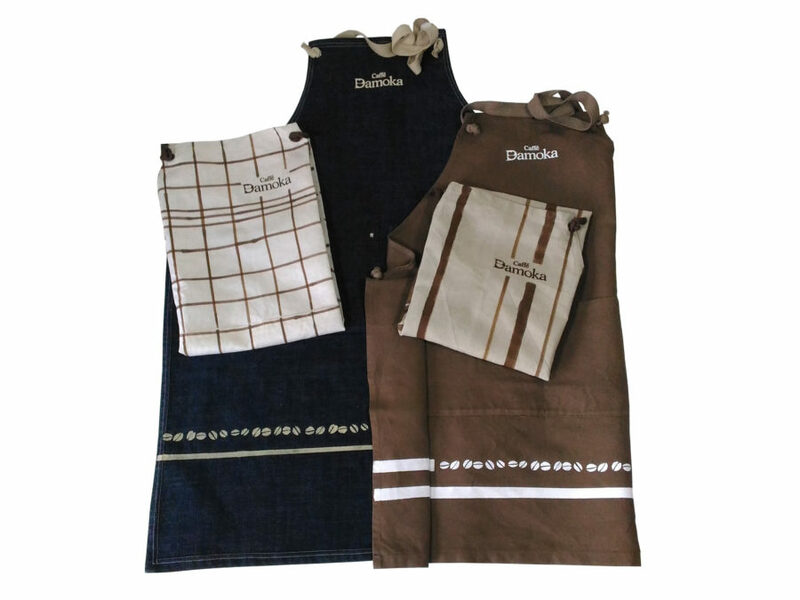 Apron for Caffè Dogali Caffè Dogali, in Viale malta in Florence, is a meeting point throughout the day, from breakfast to after dinner. 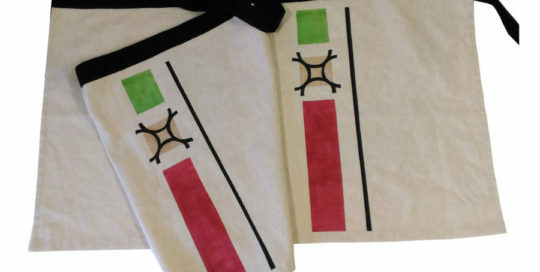 The pride and joy are the delicious and exclusive schiacciatine. 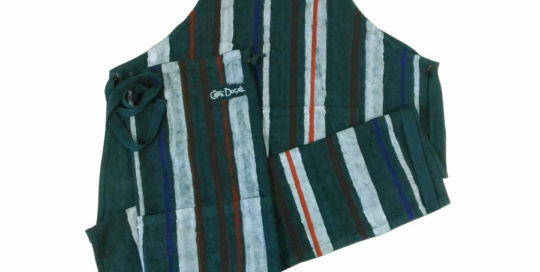 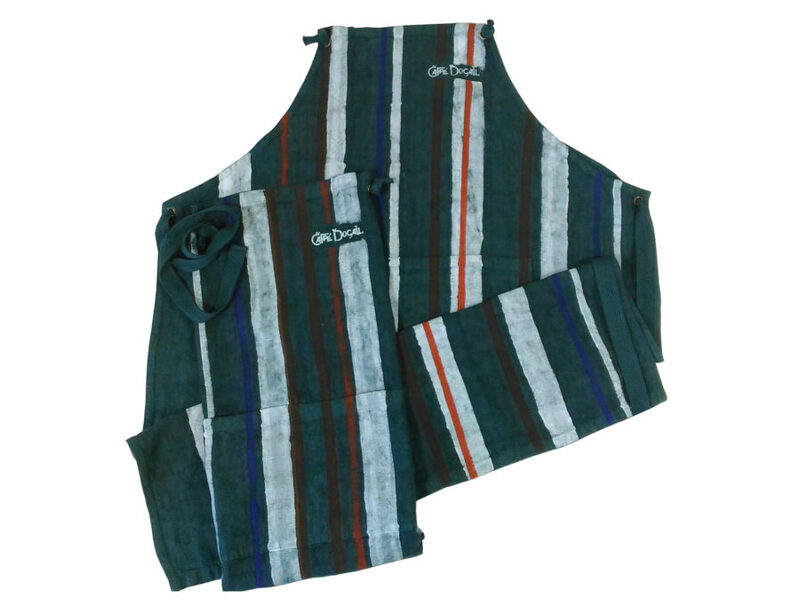 For them aprons in cypress green stained linen with hand-painted logo and stripes. 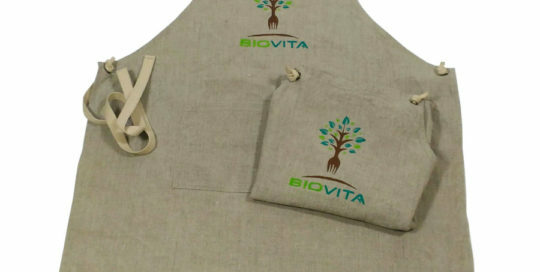 Apron for Biovita Biovita in Siena, a restaurant where you can taste balanced and complete dishes respecting the fundamental nature of a healthy lifestyle. 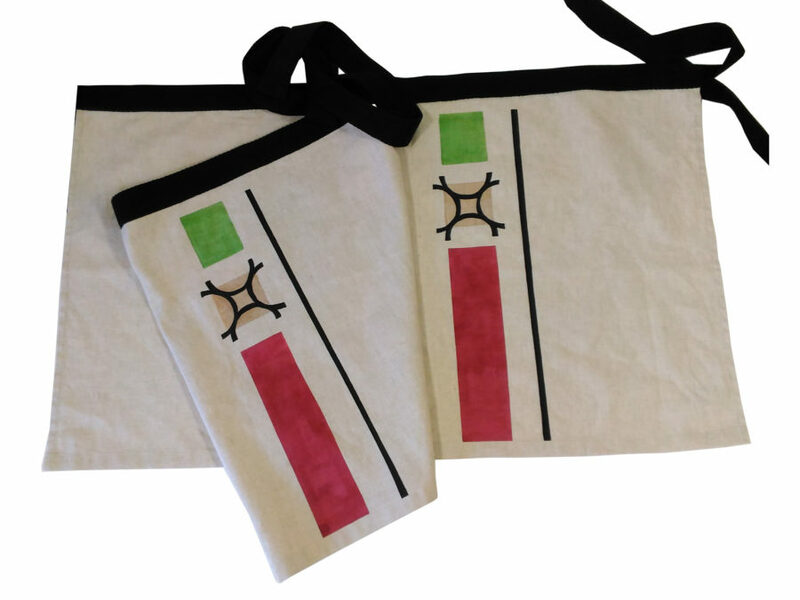 Also a cafeteria and biomarket. 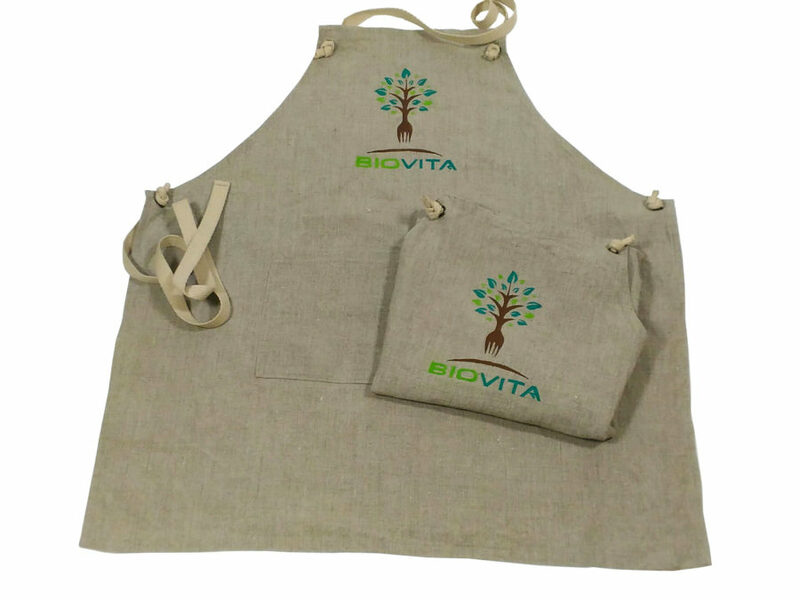 For them we have created raw linen aprons with painted logo.